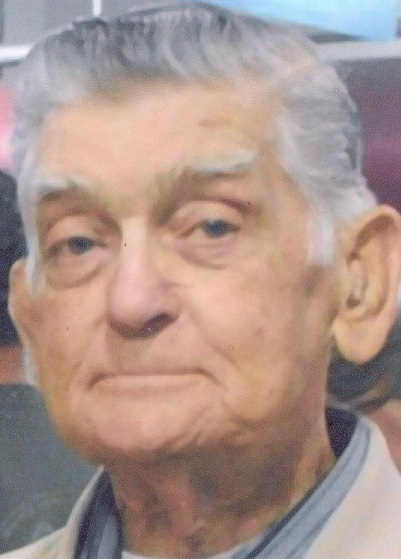 Elmer “Monk” Johnson, 85, of Riverside, passed away Friday, April 12, 2019 surrounded by his family at CAMC Memorial Hospital, Charleston. He served in the Army during the Korean War and retired from Donaldson Mine Company. He was preceded in death by his parents George and Martha (Terry) Johnson and sisters, Glenna Edwards and Lou Vern Hensley. He is survived by his loving wife Gail; sons, Douglas (Sandra) Johnson, Shrewsbury and Andrew (Christina) Johnson, Riverside; granddaughters, Cassidy, Sydney, and Emily; sister, Betty (Robert) Dolin, New Haven, WV; brothers, George Johnson, Clarksville, TN, Bill (Bea) Johnson, North Ridgeville, OH, Mike (Joyce) Johnson, Glasgow, WV, and Butch Johnson, Boomer, WV; and lifelong friend Joe (Donna) Gagich. Monk was loved by many and will be sadly missed by all who knew him. Per Monk’s request, there will be no service. O’Dell Funeral Home, Montgomery, is in charge of arrangements.